Help your customers discover the Lifestyle they're looking for. Lifestyle Screens work in conjunction with existing garage doors! 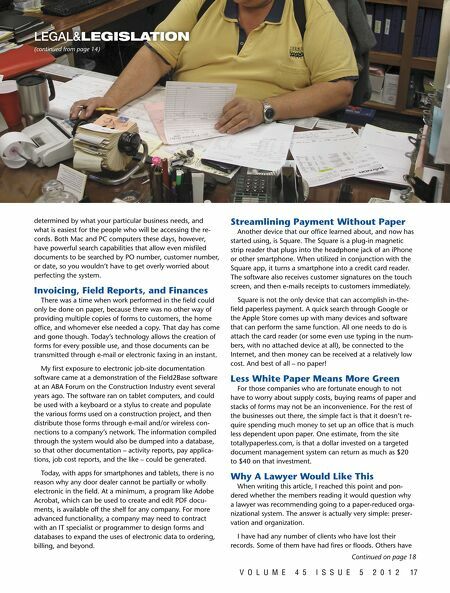 US Patent 8151858 US and International Patents Pending National and International Dealer / Distributor Opportunities These days, more and more homeowners are turning to their garages to find additional space in their existing homes. 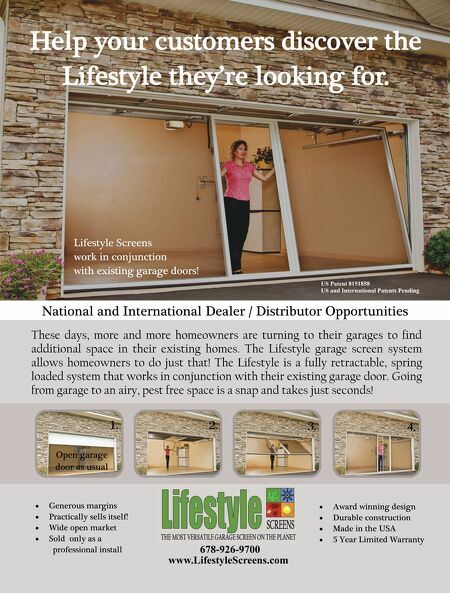 The Lifestyle garage screen system allows homeowners to do just that! The Lifestyle is a fully retractable, spring loaded system that works in conjunction with their existing garage door. Going from garage to an airy, pest free space is a snap and takes just seconds! 1. Open garage door as usual x Generous margins x Practically sells itself! x Wide open market x Sold only as a professional install 678-926-9700 www.LifestyleScreens.com x Award winning design x Durable construction x Made in the USA x 5 Year Limited Warranty 2. 3. 4.